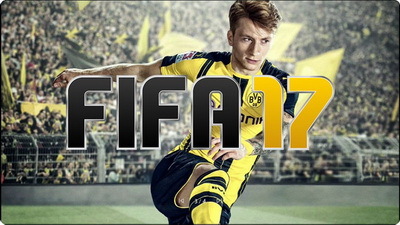 FIFA 17 is available on PlayStation 4, PlayStation 3, Xbox One, Xbox 360 and PC. To get you started, given tips below will be more realistic which means they do not speak of the techniques to successfully dominate the game. FIFA 17 is not just about the gameplay. The best way to keep up with your enemies is to relax. Take a break in between game sessions so you have the chance to take a look at how your opponents perform and which weakness you need to boost within your team. Another important reminder is to comprehend your opponents' strengths and weaknesses. There are characters that may be least in terms of strength but there should be something in that player that makes him a good character. Say Cristiano Ronaldo, you can take advantage of his quick ability movements. The only way to top him off is by choosing an equally skilled footballer to keep him at bay. As players get into the game over time, they tend to believe that playing matches will improve their skill set vastly. Although this can be true, it should not be the case for all. In fact, this makes players' acquisition of new techniques slow and tedious. The best way to do it is to take time analyzing how you do with your stats. With regard to the less loved new Corner mechanics of the game, it is recommended to run close to the post and drift the ball into the front pole with half power. Accordingly, this gives you the opportunity to rebound once you failed to make a score out of that particular move. As for the redesigned set-pieces, players are urged to take advantage of this feature as they let you multiple chances of more scoring goals, particularly direct and indirect free kicks, goal kicks and throw-ins. FIFA 17 has some tweaks that not so many people take notice of. When passing the ball by quick touch, do it by passing backwards and not by pushing forward. This technique tricks your opponent to believing that he has to stop you in there. Finally, when trying to set your goal, make sure to do it with double tap as it will strengthen all the more the power of your kick. Also, do not be too harsh on the sprint button by pressing it all the time. Players do not need to run too fast all time so you have to give them a break.